On Sunday, Steve Ballmer was quoted in a French publication as saying that sales of the Microsoft Surface tablet have been "modest". When you have a new tablet out, competing against the full-sized Apple iPad and the new Google Nexus 10, saying that your sales have been anything less than unbelievable is going to make the Board's ears perk up. 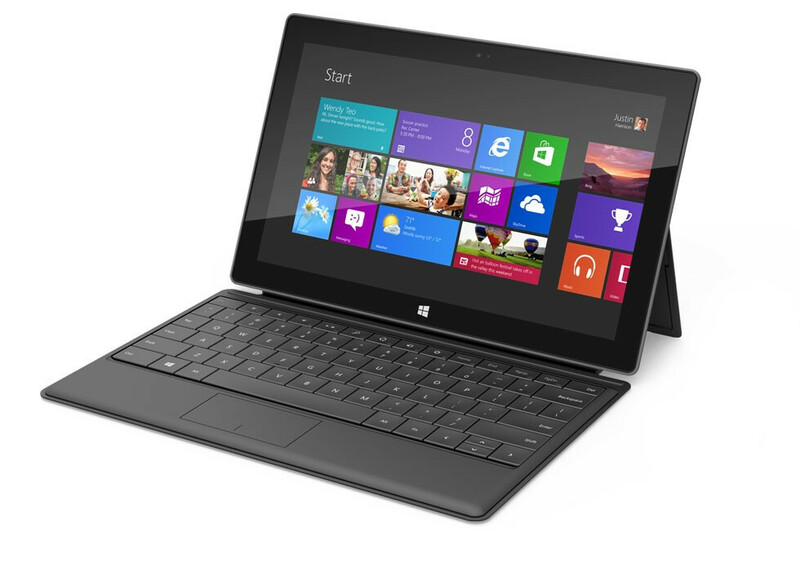 Microsoft felt a need to clarify Ballmer's statement by giving a comment to Pocketnow which stated that Ballmer's use of the term "modest" was in reference to the supply and distribution of the Microsoft Surface tablet which is available only at Microsoft Stores and online. Microsoft says that Ballmer feels that the reception to the tablet has been "fantastic" which is why it soon will be found in more stores and in more countries. Considering the dollar amount that Microsoft is spending on promoting the tablet, you would expect it to be made more readily available through more retail locations. In retrospect, it does seem to make more sense to use the m word in relation to the rollout of the tablet itself, especially in light of the absence of any actual sales figures. So we will go with Microsoft's explanation for now and wait for Microsoft's Q4 earnings report to see how well the Microsoft Surface RT has been selling. All they have to do is ship a few less to their outlet stores, claim it's been sellouts everywhere, and count it up as the Apple shuffle. Wake-up Metalpoet, > Microsoft needs our help. That way customers think that the "Surface is Hot".... Will run to the stores to get one... One of Apples old tricks... Supply and Demand- edited. Why? For lies, misinfo, or using proprietary names for features already on competitors' products and claiming they are unique? zzzz.....hmmm what? oh sorry Topcat, i really do love what Microsoft is doing with the surface. Its just the stupid politics that people are getting onto this guy for saying sale were modest, i mean if he isnt lying then whats the problem? If the Surface release had been a raging success, MS would be screaming about it. Modest is what it has been - not fabulous and not horrible. Just modest. i'm sorry, which phone ? The HTC One XXAKUJGIYHLS +++++ Seriously man...keep up. Nexus 4 of course. You can buy any JB phone and it is much better than anything MS can make. But Nexus 4 is the best of them all. US aside, tell me about the Nexus 4 pricing in other countries. And what's so special about it? Best screen? No. Better sound quality? No. Rich recording? No. OIS? No. Specialized cam? No. Memory? Non expandable 16GB. Tell me one good reason (apart from those Apps gimmick) that makes it a better candidate than the 920. You are being blinded by something. N4 is just 'another' phone. 1. Design: it's a class above all the rest 2. Screen: 1 of the best, I haven't seen 920 so can't say but 920 screen is smaller 3. Camera is good only, if all you want is camera then you should buy something else. 4. it's the fastest phone, quad core S4 Pro against 920's dual core S4 5. Best OS in the market right now against a incomplete OS of 920. Oh I know, for you 920 is the best and you don't care, so be it. Haha, people are struggling to buy a N4, while L920 makes #40 best selling phone something at Best Buy. It's not you and me, it's what people think. Oh my, do I see the crap analogy 'sales = awesome device'? A huge number of people still know little about wp os, my friend. There are hell lot of rumours floating around about wp. Also Nokia is unfamiliar name in the US. Even nokia crashed the servers with 920 pre-orders in Aus, UK. And still many Nokia's faithful markets, are starving for the phone. Just see how good it holds its ground. Poor nokia just facing a problem of more demand, less supply problem. Did you said that you are secretly an Android user. But from the way you write, more like WP fan boy. 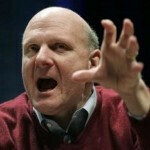 lol at Ballmer's photo... rawwwrr I'm a dinosaur! junior staffs are giving explanation to CEO's speech...great MS!!!!! For some reason, Baldmer pics PA puts out looks either funny, scary, weird, or stupid while Cook and others look like Angels. Must be some grudge going on.